When this week began, little did I know that by the end I would be writing what has essentially become my own personal Trilogy to the Dutch. I’d enjoyed all the excitement and revelry of my third Queen’s Day, stuck again by how virtually everyone gets involved in what is essentially one big party. There’s something about an entire nation joining in the festivities that makes the Queen’s Day celebration so special. It’s as if a giant cloud of orange good cheer has exploded over the country, putting everyone in a festive mood. The following day I had to drive to Schiphol Airport to pick up the returning Husband. While there I was vividly reminded of the Dutch love of welcoming home loved ones. We’re not talking amateurish efforts here; if the Airport Welcome were an Olympic sport, the Dutch would definitely be on the medalists’ platform. So there you had two posts outlining my sincere admiration for the Dutch love of a good party. I thought that was it for my cultural lessons for awhile. But Friday was Dodenherdenking (literally Memorial to the Dead), the Dutch Memorial Day. During the course of that sobering holiday, I changed my mind. Begun after the horrors of the Second World War, Dodenherdenking honors the sacrifices of military service members and civilians alike. The Netherlands is certainly not unique in having a day in which they pay tribute to those who have given their lives in service to their country. Many countries do something similar, and rightfully so. It is the ultimate sacrifice. I’m proud of family and friends who have faithfully and honorably served their country. I understand the sacrifices they and their families choose to make. I appreciate their service. In the US, Memorial Day is celebrated with parades, musical concerts, picnics, small American flags placed on graves in military cemeteries and public ceremonies. One of the latter’s most touching events is conducted at the Tomb of the Unknown Soldier in Arlington Cemetery. What is special about Dodenherdenking is the way in which it honors its victims. Yes, the Queen and members of the Dutch government lead a somber national ceremony of remembrance that is attended by thousands. Yes, local municipalities arrange their own ceremonies as well. The difference is that at 8:00 pm on the dot, everyone in the country stops whatever they are doing and joins in a communal two minutes of silence. Everyone. In eerie silence. The entire country goes absolutely still. The photo below shows the many thousands of attendees at the national ceremony held in Dam Square, Amsterdam. The scene is replicated in cities, towns and villages throughout the country. Shops and stores close early to ensure people can attend ceremonies or get home in time to watch it on television. You’d expect the major Dutch television networks to carry coverage of Dodenherdenking ceremonies on their channels, and they do. But at 8:00 pm the television networks go further and cut into every single Dutch television channel. Husband and I were watching Big Bang Theory on a comedy channel (in English with Dutch subtitles) when the show was interrupted for the silent tribute. I have to tell you, it is very stirring to have an entire population stop, think, reflect, remember, pray. I know that we have national moments of the silence in the US on some holidays, or during certain ceremonies or special occasions (including September 11th services or after a former President dies). Most people comply out of respect, but we all know that plenty of others don’t remember or don’t bother. Or worse, perhaps don’t even care. Maybe it’s because World War II was fought on Dutch soil that gives Dodenherdenking its poignance; people look around and recall (or remember hearing from grandparents of) the dark days of war right in their own homeland, in their own streets and fields. Unlike the US where you can have entire segments of the population whose daily lives aren’t directly affected by the fact that their nation is at war (and has been for eleven years), here in Nederland war is very personal. As do many countries, the Dutch honor all who have died in service to their country since the holiday’s inception. The tribute is not only to those lost in WWII, yet the public is reminded annually how their Memorial Day came to be. They remember, and they do so together. There’s something about that second minute of reflection in Dodenherdenking that gives it a gravity that makes people stop in their tracks and come together as one. For that reason alone, I have chosen to write about Dodenherdenking. The Dutch Trilogy is complete: festivities, family, remembrance. Note: I also wanted to share that in the course of looking for a photo that would reflect how the Dutch revere their Dodenherdenking ceremonies, I came across the blog A Resident Alien, written by a Dutch woman who’s lived in the US for 17 years now. It was in Barbara’s own blog post on May 4th that I saw the photo of Dam Square, above. 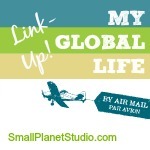 I hope you check out her site; you’ll gain insight into the flipside of my experience. Barbara writes about how many Europeans grow up viewing America, how living there has changed her, and how her ties to Nederland may have loosened a bit but still remain. In order to make things ‘stretch a little further’, Oma decided that she would unravel a bedspread, knit socks from the wool and give them to Opa to trade for fresh fruit, eggs, milk etc. So every day Opa would set off on his bicycle, with socks at the ready. And each time he came back with a little supplement to their fairly limited diet. One day Oma asked Opa where he was selling these socks and he told her it was the same generous lady who was always ready to trade some fresh country fare. As they talked further, they both thought it seemed strange that one woman bought so many socks. So the next time Opa visited her he asked. ‘what are you doing with all of these socks?’ And do you know what she said? Oh that story gives me goosebumps Kym! What a wonderful tale of neighbors helping neighbors during what had to be a horrendously difficult time. Thank you for sharing it; it made my day. Thanks for your link! I don’t have time right now, but I’m looking forward to reading your posts. 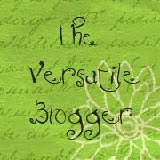 Will put you on my link list of foreign bloggers in the Netherlands. Thank you Barbara, it was fun to find your blog about life as a Dutch woman in the US. I’ve read several posts but look forward to reading more. Yes, I understand that. Growing up in the UK, remembrances like this were always very personal too. My parents both served in the war, my Dad saw combat, and they lost friends. I remember my Dad cried while watching the commemoration of D-Day some years back. It’s a little different when the war is a continent or two away – it’s just not going to be the same. Probably 9/11 is the closest the U.S. has come to that kind of feeling. I think so, Emma. Americans were much more involved and affected in daily life by the World Wars, much more so than now. The geographic isolation really did give us a slightly different perspective. That’s why I appreciate the opportunity to live and see life from a different angle. What a nice post, Linda! It is really very moving to see a whole country go still (even traffic) at 8 pm on Memorial Day here in the NL. I loved the story that Kym wrote here in the comments, by the way; it gave me goosebumps as well. Thanks Aledys, I appreciate that. Kym’s story really is touching, and an example of the triumph of resourcefulness and perseverance over hardship. Thanks both. My grandparents didn’t tell us much but when they did, it was simple, powerful and usually with a little irony attached!